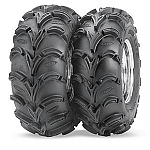 ITP is the leading manufacturer of aftermarket ATV Tires & Wheels. If you're looking for the most current styles and top performing products, ITP brand may be the best for you. 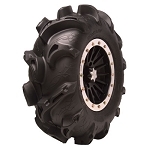 ITP has an enormous selection of sweet looking lightweight 12 inch & 14 inch ATV wheels. 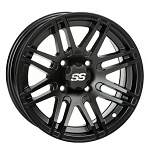 They make both basic & very fancy wheels for sport ATVs as well. 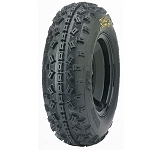 ITP has become very well known and the brand of choice for many ATV enthusiasts because of the lifetime structural warranty they offer on their wheels. 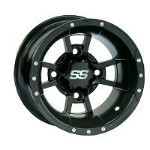 If you ever bend or break one of ITP's wheels, they will replace it free of charge. 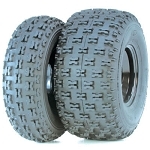 Aside from their excellent selection of wheels, ITP is also very well known for their top-performing tires. 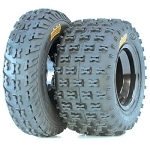 The Mud Lite tire is one of the best selling ATV tires of all time. 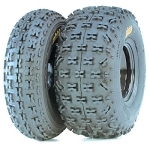 The Terracross & Holeshot tires have also become some of the top selling tires. 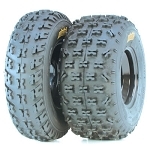 ITP released their first 8 ply tire which is the Bajacross back in 2009. 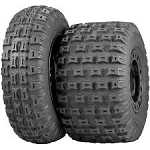 The Bajacross radials are super tough and durable and we're sure will become a top selling tire as well! 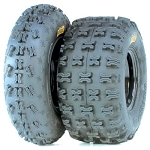 Keep your eye out for new & upcoming products from ITP, each year they surprisingly come out with new and improved styles that will take you & your quad to the next level. 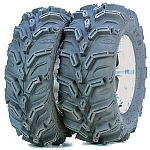 Check out their most recent styles like the Mega Mayhem, Blackwater Evolution, Ultracross R-Spec and the brand new Cryptid which is the latest and greatest mud tire to hit the market.